Proximity to customers and innovative thinking are the characteristics that identified the leadership personalities in Häfele’s family business for generations. Allow us to introduce our company management. 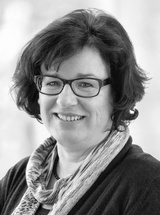 Sibylle Thierer assumed overall responsibility for the Häfele Group in 2003 and as such, represents the third generation to oversee the family owned and operated company. 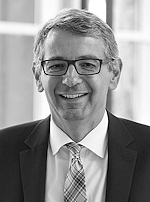 Gerhard Bosch joined the Häfele Group management team in 2009. Previously he served in various positions of responsibility at Hugo Boss AG, including international activities. 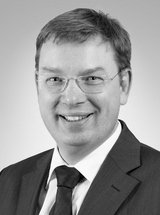 Stefan Huber joined Häfele in 1996 in the capacity of product manager. 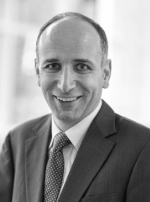 In 1998 he was appointed genral manager of Japan, then in 2006 he joined company management. 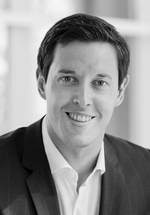 Robert Raith has been Head of development and manufacturing at Häfele since 2012. He will assume responsibility for all Häfele production facilities and for the development of new products successively from Dieter Klär. 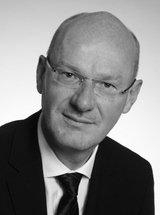 Gregor Riekena has been Häfele’s marketing director since October 2011. Since July 2015 he is part of the management team and is responsible for Brand Management, Products and Communications. As Head of information technology, Wolfgang Schneider has contributed decisive ideas to the further development of the Häfele Group since 2002. He has been a member of the management team since 2009.